Eeyore's Boat was at one time a playground of Eeyore's diverting machines, but the law made her dump them overboard so nobody would run around on it naked and die. Guests stuck with compulsive shoppers should be forwarned that this attraction exits into a retail store. 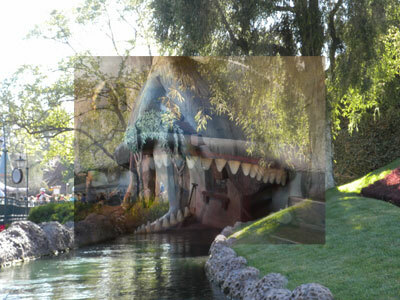 Instead of experiencing this attraction, look for something more magical. If you are traveling with fairy fans or people in their second childhood, you may want to leave copious time for the adjacent Roy Disney photo garden.